Any one know where is the longest sports climb? you will need to qualify that a bit more: single or multi-pitch? if single then must it be its own line or can it be an extension? and most importantly are you talking about just in RSA? 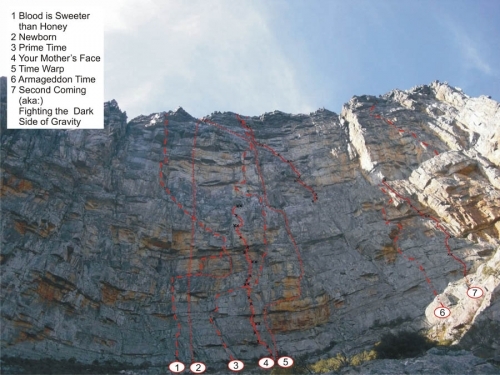 Longest multipitch sport (without access issues and relatively easy grades) in the Western Cape is on Cogmans Buttress in Montague, I think, there are several routes. There is also "New Born (29)" in Yellowwood Amphitheater, in Du Toits which must be a contender at 14 pitches. 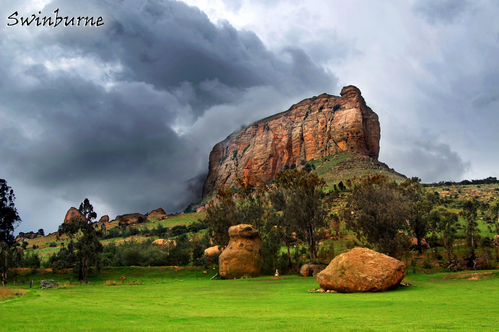 Eagle Mountain/Mount Everest in Harrismith has multipitch sport too, never climbed there so I don't know about the length. routes at harrismith are about 5/6 pitches if i remember correctly and thus <150m (maybe 120m?). my best guess is newborn; with the only real contenders a couple of monster routes at the place-we-are-not-allowed-to-mention (no, not lord milner hotel) - amphithetre is around 250m high with routes going to the top. there are some mixed sport and trad routes on Spitzkoppe that are also 14 pitches. I have heard rumours of a 20 pitch 21 sport route in Madagascar. I agree tho: the bigger the wall the more respected/protected by tradites. At a practical level there is a substantial amount of effort involved in bolting, and few people willing to place 200 bolts on one route-especially at R50 each. it would be cheaper to buy a trad rack that you would have used to bolt the route in the first place! this probably explains why longer routes tend to go trad, or mixed. Well one of my dreams is to do El Capitan before i Die. "Long, sustained and flawless, the Nose may be the best rock climb in the world; it is certainly the best known. On paper, at 5.9 C1, The Nose sounds easy. It’s not. 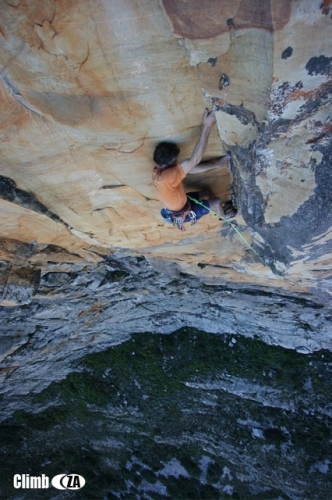 With over 31 pitches of steep, exposed and strenuous climbing, The Nose is an immense physical and psychological drain. Extensive climbing experience on long routes is mandatory. The failure rate is high. " And I don't think the Nose is either. I must be thinking of Paradigm shift? Are there any other long sport routes in the Drakensberg? Cogmans has long routes too. Last edited by XMod on Thu Aug 04, 2011 5:46 pm, edited 1 time in total. Paradigms shift on Sentinal is a realy cool climb too. six pitches I think. What better way to spend a rainy afternoon than dreaming of sun-kissed rock? 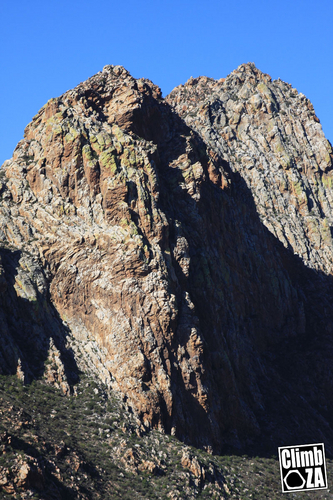 What's the longest single pitch sport route in RSA, how long is it? What's its grade? And where is it? How long is P1 of Wonderland? Guess if you had a 100m rope and enough long draws you could combine P1 and 2. Pitch 1 of Dream Queen at Wellington's Dome is about 50m. The whole route goes at about 140m I think. The problem with a 100m rope is that rope drag becomes a issue. Prelude to the Wastelands at Paarl, has 2 last pitches of about 50m each, with only 5 bolts each(those two pitches are at grade 19 full on friction). Friegin awesome, climbed it with my buddy Charles Hopkins a few years back.